A retaining wall is an excellent way to complement the landscape around your Catonsville, Maryland, home, and Allmaster Home Services is ready to help take your outdoor living project from conception to completion. As a leading home improvement business that has served the area since 1987, we have spent years helping homeowners achieve their landscape goals through our commitment to providing only the highest-quality products and our dedication to our customers’ utmost satisfaction. Whatever your objectives are for a new retaining wall, Allmaster is the company you can count on to meet all of your home improvement needs. 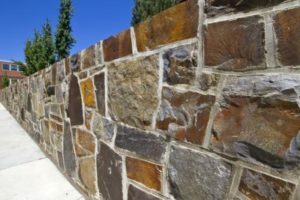 When you first contact us for the installation of a decorative exterior wall, we will schedule a convenient time to visit your home and perform a complimentary inspection of your landscape. We will also sit down with you to discuss the goals you have for your outdoor living renovation and will create a unique plan that is catered to your specific aesthetic and functional desires. From the very start of your home improvement project, one of our dedicated professionals will be available to answer any questions you may have and will walk you through every step of our work on your home, so you’ll never have to worry about being in the dark when it comes to your outdoor living investment. For more information on the retaining wall installations we perform for residents in and around Catonsville, MD, contact Allmaster Home Services today.